We grew up watching those Bounty commercials – and the MS Paul Gauguin would indeed have been a suitable yacht from which to search for paradise! 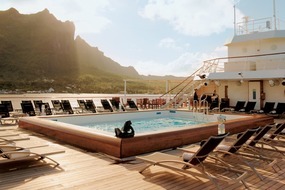 For the ultimate romantic island escape, cruise from Tahiti on this luxurious small ship. 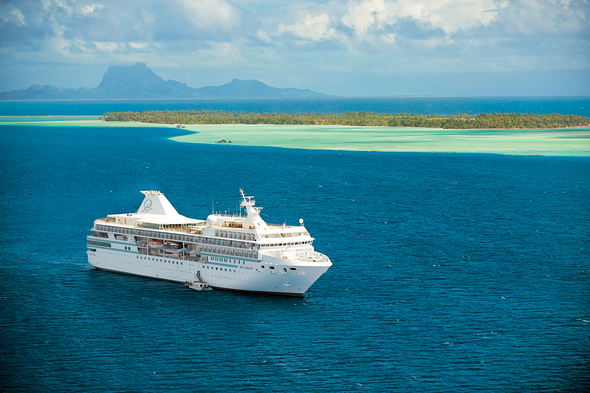 The perfect way to explore the Society Islands and beyond, Paul Gauguin cruises throughout the year in the South Pacific. 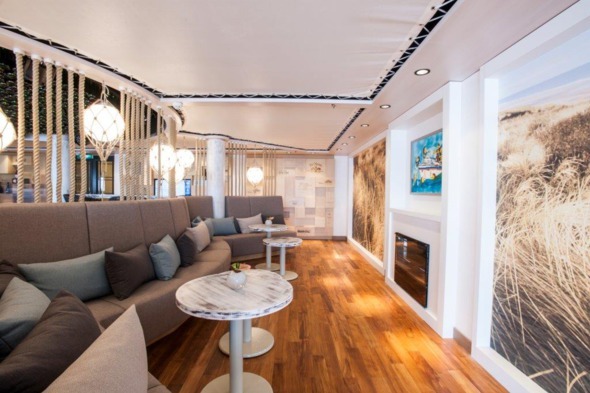 The style is relaxed, intimate and carefree, in keeping with the islands which she explores. 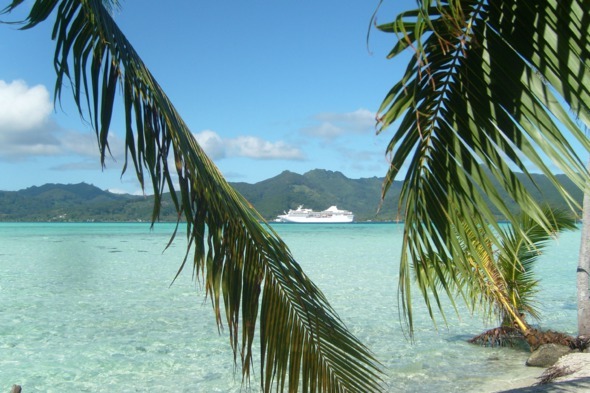 Inextricably linked with her home cruising area, the MS Paul Gauguin, with just 332 guests, is THE ship to choose in French Polynesia. 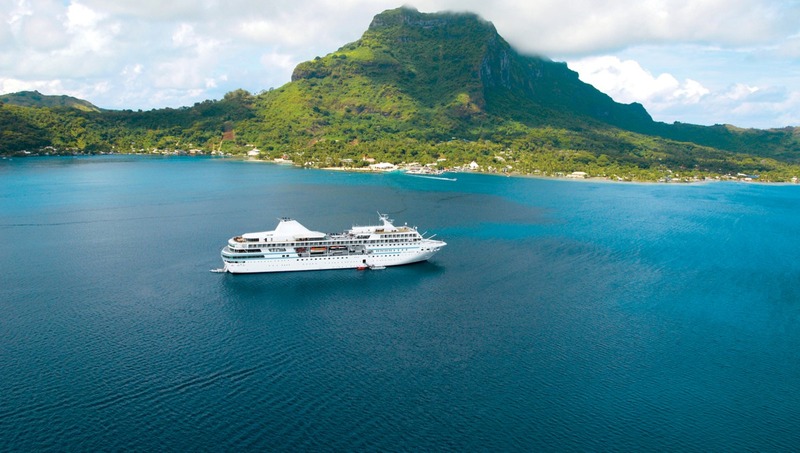 Whilst other ships stop here for short seasons, Paul Gauguin has been here so long that the flavour and warmth of the islands is replicated on board. 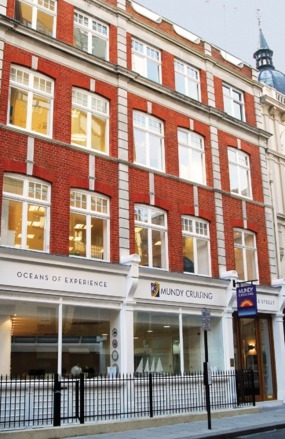 Likewise, the islanders offer a hearty welcome to their own - the ship that regularly returns to their shores throughout the year. 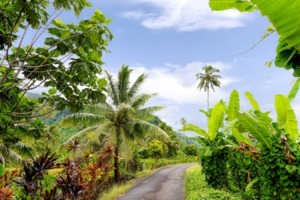 For UK travellers, the seven day Society Islands itinerary is a perfect stop-off on a round the world tour or a visit to friends and family in New Zealand or Australia. 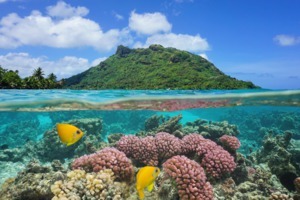 Excellent value for money compared to the local hotels with all their expensive extras, visiting the islands by ship with your own private marina and PADI diving opportunities is the obvious choice. 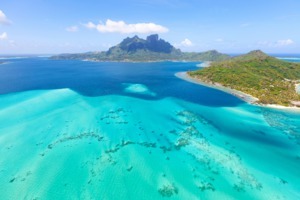 For those flying to Papeete specifically to join a cruise, choose one of the longer itineraries featuring the Cook Islands or Marquesas, and break your journey en route on the California coast. 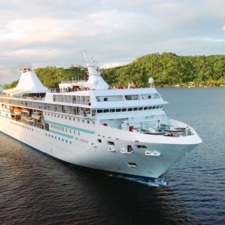 On board, excellent dining choices with included drinks and gratuities ensure a relaxed experience, and local entertainment, alongside excellent hosting from the local Gauguines, ensure you soak up the South Pacific vibe - this is a perfect choice for a honeymoon, wedding anniversary or other romantic getaway with plenty of staterooms and suites with veranda to choose from.